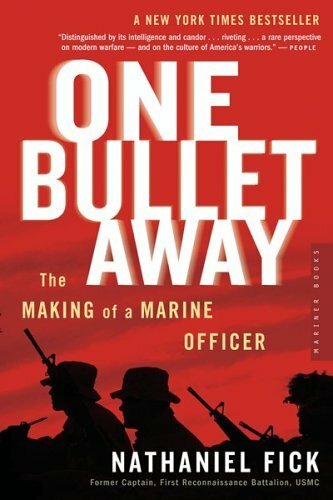 I'll admit, I was amped to read Nathaniel Fick's One Bullet Away. Opinion shapers consider it one of the best post-9/11 war memoirs--Thomas Ricks just compared it to Kerouac's On the Road--and Fick is a leader of counter-insurgency movement as CEO for the Center for a New American Security. As the main characters of Evan Wright's popular war-memoir-turned-HBO-mini-series Generation Kill, Fick and his platoon are practically celebrities, at least in the military community. The next 284 aren’t as good, especially since nothing much new seems to happen after they invade their first city. First, One Bullet Away has structural problems it never overcomes. The second problem is one of honesty. I think--out of love for his men and his corps--Fick omitted details that would have made the memoir more readable, and more real. Not enough happens to justify the book's 372 pages; the book is about 100 pages too long. Fick and his platoon invade city after city, again and again and it reads like Groundhog Day: each town identical to the one they just left. The larger problem is that Fick never really builds to anything. The excitement of war gets in the way of anything really happening. It’s like that scene in Adaptation, where McKee tells Charlie Kaufman that screenplays and film are about change. Well, nothing changes in One Bullet Away. These are people, not characters, so they have no character arcs. Cities are razed to the ground, but this happens before or after the narrator reach them. Change happens to the people of Iraq--like the little boys the platoon shoots--but they are EVAC'ed away, out of the memoir. In the end, Fick and his men leave Iraq as quickly as they entered it, merely an invasion force, not an occupying force. If war changed them, the change occurs after the memoir ends. Many of these problems are inescapable. Characters--often really interesting ones--are introduced and then forgotten seven pages later. Like Sergeant Olds, his Drill Instructor who only appears at the beginning of the book, or the recruit Dunkin who is booted out for taking performance enhancing drugs. Part of this is natural, people in our lives enter and leave with no regard for the novelistic integrity of our life story. Then again, that’s why our lives are our lives, and novels are novels. Some other stylistic problems: There is way too much dialogue, an awkward closing epilogue and a bad title. One Bullet Away also dives into some clear, easy to understand morals, like when Fick resolves to train harder after the DIs kick out Dunkin, that just don't feel real. The second, more serious problem is that the book is not honest. Fick doesn't lie, he omits. There is a mental dissonance going on through out One Bullet Away, that Fick loves being a Marine, loves his Marines and loves the Corps. But he hates Marine leadership and the danger they put his Marines in. Fick never says this openly; he has to dance around the criticism. If I had to pinpoint the place where this book falls apart, it is on pg. 156, when Fick introduces his “genial” all-American football player Marine Captain. Fick hates this Captain, but you have to figure this out by reading between the lines. He introduces him in glowing terms, then bit by bit reveals he nearly killed Fick multiple times. This disconnect, between Fick’s feelings for his command and his voicing that disapproval is palpable. It weighs the book down. On Pg. 48, Fick writes about how his training prepared him for counter-insurgency battles in the future, in a section that feels forced. If the Marines understood counter-insurgency, why do they fight later in the book so much differently than they train? Why did the Marine Corp need to retake Fallujah multiple times? (I want to make it clear, bad COIN is not specific to Marines, but the entire military.) On pg. 106 Fick writes that we went to war to get the people who attacked us, but the invasion in Iraq wasn’t really about that. And he doesn't explicitly explain his platoon's relationship to the eventual Iraq quagmire, though he hints at it. One Bullet Away provides a fascinating opportunity for my post-9/11 war memoir project. Since Evan Wright, a reporter, embedded with Fick and his platoon, we have an outsider's account to compare to Fick's memoir. Next week I'll explain why the Wright's reporting is superior to Fick's. Quick heads up. Eric C had his guest post, "Post, Entry or Article" published on Daily Writing Tips. Please check it out. Our long time readers at On Violence have probably come away with two impressions about me: first, I criticize the Army a lot; second, that I think highly of myself. So do I make the same mistakes as the Army? Well, I do, and I like to think that I confront them when I see them. Recently I read the fantastic novel, The Ugly American, and it led me to some deep introspection (trust me, I'll have more posts about this book in the future). The book indicts America’s foreign policy system for it’s lack of American foreign language expertise (among other things). Written in 1958, its criticisms of American foreign policy still apply today. As The Ugly American describes, the American foreign policy apparatus--from the Defense Department to the State Department to our intelligence agencies--lacks the critical language skills necessary to succeed. So obviously I must take language skills seriously, and I must study them on my own. Actions speak louder than words, and my actions don’t tell the same story. I have never succeeded in mastering a critical foreign language. I tried to learn Tagalog, (the language of the Philippines) to help my study of insurgencies. Later, I started to learn Arabic in case I deployed to Iraq, but that never happened. In each case, I quit because the need no longer seemed important or relevant, and mastery seemed too difficult. Even worse than the times I started studying languages but quit, is the tremendous opportunities I have been given, but did not embrace. I lived overseas in Italy, and only learned restaurant Italian. ("Un litre de vino de casa rossa, per favore.") 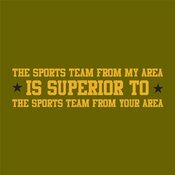 When I deployed to Afghanistan I only learned how to introduce myself. And I spoke to Afghans on a daily basis. It is my major criticism of myself. Depending on my next assignment, hopefully I can change. I need to embrace learning a foreign language in a critical skill so that I can practice what I preach and improve myself. But I run a blog, work for the Army, work out daily, and am planning a wedding, I don't know if it will happen. 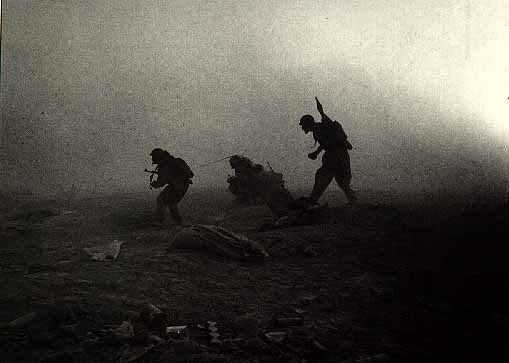 In my last post on Hemingway's A Farewell to Arms, I argued that today's wars in Afghanistan and Iraq are numerically insignificant compared to World War I. In The War to End All Wars more soldiers died, more civilians died, more people were hurt, diseased or crippled, all in a less populated world. But this isn't even the worst part about World War I. The worst part is that it was meaningless. Entangling military alliances forced countries to go to war over the assassination of a minor royal figure. No slaves were freed; no genocide averted. An historical background so inane, you almost can't process it. If it's heartbreaking when someone has to give their life for another, what about when they give their life for no reason? This is what makes World War I a tragedy. Hemingway understood this. He understood the purposelessness of this war, and the aimlessness of his "lost" generation. He expresses it through Lt. Henry, a man whose life mirrors the war he is fighting. At the start of the A Farewell to Arms, Lt. Henry's life is adrift. Instead of visiting the home of a priest while on leave, he drinks and parties in Milan. When asked why he didn't go like he promised, he has no reason, no explanation. His actions have no purpose. Lt. Henry even fights in the war for no reason. When asked by his lover why he volunteered for the Italian military, he shrugs, “I don’t know...There isn’t always an explanation for everything.” This could have been the same justification for every General and politician of that era. By the time Lt. Henry finds his purpose, it is too late. He goes AWOL after seeing his friends and soldiers die in a horrific retreat, and flees to Switzerland with his pregnant girlfriend. Of course, A Farwell to Arms is a tragedy, and Lt. Henry ends the novel as adrift as he began it. One could read Lt. Henry's life as an analogy to Europe. He goes to war for no purpose, tries to fight his way out of it, and his story ends only after he has lost everything. His future is as bleak as Europe's. Hemingway wasn't anti-war--he fought in at least three--but I don't think he supported World War I. Hemingway's personal code demanded meaning, and World War I--death, carnage and all--had none. Lt. Henry, the narrator, responds, “I did not say anything. I was always embarrassed by the words sacred, glorious, and sacrifice, and the expression in vain. This is the worst justification of war. We hear it too often spoken today, and indeed all wars, that fighting must continue for the sake’s of the dead." Political satire is not new. Comedic dissension for political policy, representatives, or current event is an ever growing medium. Comedy central icons Stephen Colbert and John Stewart make a living mocking politicians and our political system. While some portrayals are intelligent and clever, others are derogatory and borderline militant. Certain attempts at satire push a line that both isn't funny and show a lack respect for our political institutions. Last week, a family member emailed me this political cartoon. It seemed harmless at first, the usual satirical affair. Yet after I read it, I wondered, “Is this cartoon advocating the death of people supporting Obama?” I felt, and Eric C agreed, that we had to respond to this growing trend of advocating Violence in our modern political discourse. It’s a single ember in a seemingly growing fire composed of political hostility and outright hatred. Zazzle.com recently received flak for selling the following bumper sticker. 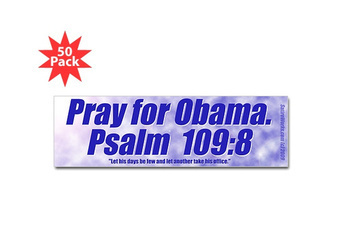 The bumper sticker reads: “Pray for Obama” but cites “Psalm 109:8” as it's inspiration. The passage reads: "May his days be few; may another take his place of leadership." (NIV) Insulting, but harmless unless you read the verses to follow. Such as "May his children be fatherless and his wife a widow." The prayer for Obama is not to bestow wisdom or guidance, but for his life to fall into desolation and his family line to die off. This is a departure for the “Don’t blame me, I voted for ___” bumper stickers that seemed so popular on my block in the early 90’s. There is growing hostility toward our elected officials. Facebook shut down a user initiated poll asking “Should Obama be killed?” Subsequently, the poll and those who answered are now under investigation by the Secret Service. Currently, President Obama has his own wiki page dedicated to attempts on his life. Recently, Bill O'Reilly suggested Nancy Pelosi and Harry Reid need to be kidnapped and waterboarded. The hatred runs deep along party lines. Consider President Bush’s two rather unsuccessful comedy shows on Comedy Central. That’s My Bush!, whose tagline was “A brilliant man deserves a brilliant sitcom,” only lasted eight episodes. The animated Little Bush managed seventeen episodes. Both portrayed the then President as an idiot and child. While insulting, these shows barely compare to the sentiments conveyed in Death of a President(2006) a docu-drama about George W. Bush's assassination or the novel Checkpoint by Nicholas Baker, about a man planning Bush's assassination. At some point Americans made a departure from acceptable and viable methods of protest to advocating acts of Violence against those we disagree with. Dislike for policy has evolved into malice for individuals. A combination of free speech, apathy toward actual political action, and misguided hatred fueled by polarized media outlets have led to an age of political passive aggression. Where outrage once led to rallies, protests, or petitions, the response now is angry blogs, disrespectful artwork, and death threats. Differing opinions is not a bad thing nor is disliking an elected official for his policies and public acts. Inspiring violence against those who don’t agree with your opinion is. How we respond to those who disagree with us is pinnacle to solving actual problems. Sadly, not everyone can be Stephen Colbert. Most shouldn’t try. Every organization has its own culture. Lawyers debate like lawyers, engineers approach problems like engineers, and politicians solve ethical dilemmas like, well, politicians. Culture can influence how you think, how you act, and, in some cases, how you do math. The military has its own brand of mathematics. Today I am going to talk about subtraction. I call it Army subtraction: the missing three hours in the work week from 0600 to 0900 to start Physical Training (or PT). The Army can tell you that you only work for eight hours a day, from nine to five, and still have you show up at 0600. How do they subtract those hours? I call this the “missing” three hours, because apparently I am the only one who misses it. Well, me and every other Soldier below the field grade officer rank (majors and up). They don't seem to notice showing up that early in the morning. Ask any leader in the Army, and they will say the work day starts at 0900 (or 0830 depending on the post). A full Army work day is from nine to five. At regular units, Soldiers and leaders usually leave work at 1700. When discussing how much people work, the Army counts 0900-1700 as the work day, with an hour and half lunch. When calculating how much a Soldier works, Officers can easily say they put in a forty hour work week. For me though, from 0600-0900 I feel like I am at work. It feels like work because I am at work doing work related tasks. That, and by law I am required to show up at 0600. (I could write another post on the formation before the formation that many units conduct. Even though first formation is at 0630, units will have Soldiers show up half an hour early for accountability.) This further depletes Soldier's personal time. If the Army understood that Soldiers work an average of 55 hours a week, than they could better understand the strain put on Soldiers. This post could be dismissed as the gripe of a disgruntled Officer (and it is) but serious issues are at play. In the last year, the Army passed the civilian world in its ratio of suicides. The number of divorces, mental health referrals, and discipline issues by Soldiers continue to climb preciptouisly. And despite assurances otherwise, junior officers continue to flee the Army in droves. The missing three hours every morning are not the cause of all these problems--the two ongoing wars are--but they contribute. Those three hours every morning are time away from family. By calling an eleven hour work day an eight hour work day, the Army steals three hours every day. And waking up at 0500 in the morning makes it much harder to spend quality time with your family when you get home from work at 1730. The Army subtracts three hours from every work day. Only Army mathematics could make this work. The result is stressed out soldiers, families and systems. Could the Army find the time to start the work day at 0800, still do PT, and do all its other work? Absolutely, but that is another post. Quick heads up: Eric C just had a guest post published yesterday at Daily Blog Tips titled, "9 More Ways to Promote Your Blog Online." Check it out. Why Don't We Ask China For Help? In my mind, we need two things in Afghanistan. The first is better COIN techniques, and the military is slowly but surely on its way there. The second is troops. If we need thousands upon thousands of additional troops, why don't we ask China for help in Afghanistan? In a long term view, it is in China's interest to create a secure Afghanistan, and by extension Pakistan, a region vital to the stability of central Asia. There is already a precedence for deploying non-Nato troops to Afghanistan--America’s coalition in Afghanistan includes the Republic of Korea and Poland. Could we bring in the largest military in the world, the People's Liberation Army of China, to occupy some ground? Before I get into why this won't work, let's think about China's amazing capabilities. China could easily send as many troops as the US currently has deployed (the US has about 100,000 Soldiers deployed including both combat and support troops). This would be a fraction of China's 1.6 million men in uniform. In comparison, the US Army has around half a million men in uniform. Imagine the possibilities with that many additional troops. The People's Liberation Army could take over Helmand and Kandahar provinces, basically the whole of Regional Command South. That would free the US to control Regional Command East, that includes the capital of Kabul, Bagram Air Field, and the closest areas to the Pakistan tribal areas. Or the US could take the South and the Chinese could take the East. Or the Chinese could secure the West and North areas while the Germans, Italians, and Canadians help the US double down on the South and East. With the thousands of troops China has, we could execute a true population-centric counter-insurgency in a variety of ways. Of course, we could just take the additional 100,000 troops and line them up on the border. This would make the Pakistan FATA sanctuary a non-factor. The point is, with another 100,000 troops, the options are almost limitless. In casual conversation with other Soldiers, this idea always gets massacred, and I can see why. Realistically, it is in China's interest to allow the US to devote thousands of troops and billions of dollars in Afghanistan while they invest soft power in Africa, South America and other parts of Asia. Being intellectually honest, they have more to gain flexing their influence while America remains mired in expensive military quagmires. Getting China to sign off on this plan, or getting domestic support is a long shot. We could ask, but would risk diplomatic capital if the Chinese refused. Also, too many American leaders view the Chinese as the enemy--or our future enemy--to allow them to come in and save the day. This is unfortunate, we really could use 100,000 additional troops in Afghanistan. 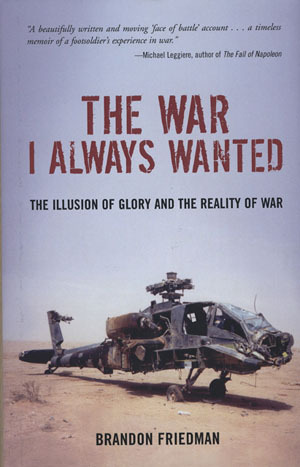 Brandon Friedman's The War I Always Wanted is the best post-9/11 war memoir of the eight I’ve read so far. This is probably because, unlike the other memoirs I've read, it reads like a novel. Starting with an intriguing set up, the book bounces back and forth between Operation Anaconda in Afghanistan and the invasion of Iraq a year later. In both battles, he sets up scenes that made me feel like I was there. He ends his book well, with a tragic bookend you can’t help but see coming, but is still so random that it works. This book held me the whole time; the best word to describe it is vivid. Like each memoir I've read so far, this book has a neat little thesis. Friedman discovers, near the end, that, “We killed terrorists and insurgents. In the process we killed civilians. We shot kids. It became pretty standard guerilla war. In a way, it became the war I always wanted.” Meaning of course he never wanted this war at all. This moral is a little too simple, and a little too neat, but it feels honest. This is a memoir, you're allowed--nee required--to moralize. It helps that this moral is true. One could view the entire American military adventure in Iraq and Afghanistan as a story of Soldiers/politicians/generals never getting the war they wanted. The book also has the best awareness of counter-insurgency of any of the war memoirs. Children and civilians die in a sloppy invasion in Iraq; it is no surprise that an insurgency took root post war. Unlike the memoirs by Fick and Mulaney, (which I'll be reviewing next) this book explains why America remains stuck in two foreign wars. As I wrote above, the highlight of the book, for me, is the description of Operation Anaconda, the now infamous battle in the Shahi-Kot Valley, one of the largest in the war in Afghanistan. Friedman captures both the large and small strokes perfectly. Friedman describes the broad strokes of the battle like a practiced historian. But he also includes a visual, of a horse running around a farm half mad, while thousand-pound bombs and artillery shells fall around him, miracously surviving days after he should have died. It is the single best image in any of the memoirs. It's too bad this book hasn't been more popular, because like I said, I really enjoyed it. If I had to recommend a recent war memoir, I’d recommend this book way before the more popular Unforgiving Minute or One Bullet Away. Definitely before the Hollywood-movie-inspiring Lone Survivor or Jarhead. In the end, The War I Always Wanted is limited because it is a memoir, not a novel. It contains before and after bookends that feel out of place, but a memoir demands these bookends. I guess no matter how good a war memoir is, I still wish it was a novel. On the outskirts of Vicenza Italy, there is a beautiful hill overlooking the town called Mount Berico. At the top, there is a church, and of course a coffee shop. Most importantly, there is a breath taking view. Though it wasn't the best coffee, it was the best atmosphere in town. Eric C and I used to relax by making the forty five minute journey to the top of the hill. Whenever we had visitors, we took them there, joining the throngs of Italian tourists who visited this important church andpilgrimage site. There is also a set of stairs--nearly several dozen going up 700 meters--leading up to Mount Berico. These stairs are part of their religious tradition; the truly pious walk up in devotion, sometimes on their knees. Unfortunately, a set of steep stairs is an inviting location to run. Vicenza, Italy is also home to the 173rd Airborne Brigade Combat Team, and two of its six battalions. In the morning, the paratroopers of the 173rd would look for the tallest, farthest places to run, and Berico was the nearest hill. Inevitably, the town and the Soldiers came into conflict. The local government eventually banned running downtown. Soldiers would run and call cadence, which had to end, because it woke up locals. Even after the cadences stopped, local Italian officials prohibited running downtown because soldiers conducted PT in the middle of the historical square (Soldiers were vomiting on the sidewalks or, again, waking up the locals.). After banning downtown, the steps leading up to Monte Berico were banned. Again, the same reason: soldiers were vomiting on the steps. Italians described American Soldiers as a nuisance to civilians walking the steps. There were several other routes upBerico, so only the steps were banned. Last summer, the entire hill was banned because of the continued disturbance and the alleged destruction of park land around downtown Vicenza . According to the local Italian papers, the response of the American soldier’s has been less than stellar. This caused bad press for American soldiers. How does this relate to counter-insurgency? To the US Army, running at a pilgrimage site every morning for PT exercises was harmless. To the locals, it was anything but. The key is US Soldiers failed to realize how offensive their behavior was. If US Soldiers can't get along with western Europeans in downtown Vicenza, Italy, how can we expect to do so in diverse cultures like Iraq and Afghanistan? The American Soldier (Officer, NCO and Enlisted) has great difficulty breaking from his own cultural viewpoints. As an Army we must face facts: many Soldiers lack empathy. Not to toot my own horn, but when I first saw the behavior of soldiers on Mount Berico, and doing PT in general, I guessed that Italians would not be pleased with it. Sure enough, communicating this was difficult. The only way to convince Soldiers not to run up those steps--to understand the error of their ways--was by a simple analogy. I asked, if French soldiers conducted PT runs around the graves of Normandy, and vomited on the sidewalks, how would you react? Probably beat the crap out of those Soldiers. An easy analogy, but almost the very definition of lacking empathy. Why deploy the 173rd ABCT? In an earlier post, I advocated for the return of our soldiers from overseas bases. Today, I want to explain why stationing a quick reaction force overseas, like the 173rd ABCT, is pointless. At the very least, I want to point out the futility of such a policy in contemporary times. At the start of Operation Enduring Freedom, the 173rd Airborne Brigade Combat Team stayed home (In all honesty, it didn’t exist as a Brigade, though Vicenza housed an Airborne battalion). By the start of Operation Iraqi Freedom, the decision was made to send the 173rd ABCT, with its two infantry battalions, into Iraq via an airborne insertion. This quick decision to secure the north of the country makes perfect sense for the mission of the 173rd ABCT. As European Command’s rapid response unit, they should kick the door in for operations like the invasion of Iraq. However, the job of the door kicker is no more. As both Afghanistan and Iraq turned into extended occupations, no brigade could sit on the sidelines. So, a year after returning from Iraq the 173rd ABCT deployed to Afghanistan in support of Operation Enduring Freedom V. It later deployed to Afghanistan in support of OEF VIII, and it deployed in the end of 2009 in support of OEF IX. I guess my question is, if we station a brigade in Italy to act as a rapid response unit, then why would we deploy it? When the Army deploys the 173rd ABCT it sends no unit to replace its capability. Thus, at some level, the Army or national security apparatus has decided that a brigade-sized quick reaction force stationed in Europe is not a pressing need. Thus, if it isn’t needed, why do we have it there? Every so often, I hear that the reasons we put bases in Saudi Arabia, Japan, Turkey, Krgyzstan and Italy is to allow our military to forward project our forces. Even in the invasions of Iraq and Afghanistan, we only used the 173rd ABCT once, and we didn't use the other units in Europe until after the initial invasion. Basically, the idea that the military uses force projection is a farce. After our ongoing wars, we will most likely return to joint military training with our allies. Honestly though, that can still be done via air travel, and for a much cheaper cost. Perhaps those who want to leave the 173rd ABCT in Italy will say that the 82nd Airborne Division is covering down when the 173rd ABCT deploys. If that is the case, then couldn’t they cover down permanently, with the 173rd ABCT stationed in America? His name was Rainbow. Probably wasn’t his given name, but that’s how he introduced himself to me and my fraternity brothers. He came to us in the summer of my junior year at UC Santa Barbara, a vagrant in the truest sense. He was on a trek from Santa Barbara to San Francisco with only what he could carry on his back and pack onto his three wheeled bike. Rainbow was a Christian. I mention this because it’s not only integral to the story, but understanding his personality as well. He took the teachings of Christ so seriously he gave up his possessions because of the story of the rich man who would not give up his wealth to follow Christ. Such was his love and resolve. Rainbow was only passing through Santa Barbara. He'd heard that we were a Christian fraternity and asked to stay with us for a few days, setting up a tent in our back yard and proselytizeing to the locals before he continued on his journey. We agreed because it was a unique opportunity for us as a house to learn from an individual who lived quite strictly to “Christ’s laws,” as he called it. On his last night with us, Rainbow went to talk with another homeless man that lived around our street, the man we had dubbed, "Legion." We called him Legion (a Biblical reference to possession) because he claimed to be influenced by voices, hated Christianity, and occasionally claimed to be “of the devil.” We’d talked with Rainbow about Legion previously and Rainbow didn’t want to leave Santa Barbara without confronting the disturbed man. We heard Legion screaming, but this was not new; he would occasionally scream at cats or the voices only he could hear. We heard something new this time; we could also hear Rainbow pleading with him. Rainbow wished to pray with Legion but Legion would have none of it. We stood on our porch watching the spectacle. It began with a push and escalated to Legion flailing wildly and throwing Rainbow to the ground. Legion eventually ran away when he saw people coming to intervene. And Rainbow himself seemed unharmed other than being slightly tenderized. Rainbow refused to file a report with the police. He never tried to talk with Legion again and soon he was gone, continuing on his journey north. What remained was something the three of us would always remember. This was an actual demonstration of passivity in literal terms. Rainbow refused to defend himself from attack and even went so far as to bless his enemy. It was something we wondered whether we could and even whether we should do given what we individually believe and the world we live in. The three of us each came to our own conclusions, but the moral question remains. 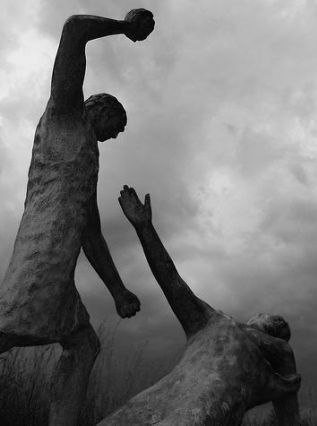 Can and should a Christian, or any pacifist, love his fellow man so much as to allow him or herself to endure pain or even death? In his State of the Union speech last week, President Obama proposed a three year spending freeze on all non-defense discretionary spending. It’s a budget policy I endorse, I just worry about the implementation. Officials at the Pentagon aren’t worried though. In fact, the Defense Department plans to higher more workers. Politicians want to protect Americans, and they view defense spending as political capital to stay elected. Anyone working in a branch of the Department of Defense should know that we could more than afford to tighten our belts. If President Obama forced the DoD to cut costs, trim spending, and lower it's budget, two things would happen: first, across the Air Force, Navy and Army we would become more efficient; second, our leaders would have to look at the budget and prioritize on issues that are immediately relevant, making us more effective in the long run. Don’t kid yourself. If you wear a uniform, you know how much money we waste every year. Look at how units run their budgets. At the end of the fiscal year, all units in the Army, Air Force and Navy make sure they spend all their funding. Down to the last drop. Use it or lose it. For example, units tend to always order their full allotment of ammunition. Even if they don’t expend it all during a training exercise, they fire it off at the end to ensure their allotment stays at the same level. In the Army, as across the Pentagon, you keep what you can get. My critics will say that we are at war. I don't disagree. But my critics have to explain the vast amount of waste in the Army. Bagram Air Field serves shrimp and steak dinners to troops who have never seen combat. We station thousands of troops overseas for no ostensible purpose. In combat, we fire unnecessary bombs or artillery rounds at nothing. Contractors overcharge the government. Airmen receive combat and hazardous duty pay while stationed at Qatar and Kyrgyzstan (Sorry Yates). I could go on (and I will in future posts). We have more Generals in uniform now than in WWII (and they have retired Generals contracted to advise them). In good businesses, managers can both increase profits and drive down costs. In good households, savers earn more and keep their costs down. In both of those examples, tightening budgets is a good thing, so why is the Pentagon exempt? The Pentagon should embrace budget cuts, not fear political repercussions. Two quick things. First, Eric C had a guestpost published on Fuel Your Writing, titled, "Less is More: Aristotle and Four Simple Steps to Better Short Stories." Please check it out. Second, long time reader Chris C has a new blog, called "Predigested Opinion Spigot." Please check it out. New content is coming on Wednesday. Since General McChrystal originally posted his counter-insurgency guidance--and classified Rules of Engagement--pundits and bloggers in the right wing media have made quite a few accusations. Some have called Obama's new Rules of Engagement are an outrage. Some call them Rules of Endangerment. Some have said they put our Soldier's at risk. One blogger has even said that our Soldiers wonder who is the bigger enemy, the Taliban or Obama's Rules of Engagement? Hell, Marcus Lutrell wrote a whole book on 'em. General McChrystal created a strict ROE for Afghanistan for a specific reason: to win. He modeled the new ROE on policies that have proven successful in Iraq and other counter-insurgencies. And it is right he did so. Leaders must make the Rules of Engagement. While the Soldiers and NCOs on the ground makes the split second decisions about how to use ROE, leaders must establish the guidance. This seems backwards to some people. Many Soldiers (and bloggers) think we should always trust the NCO on the ground. The thinking goes, "No politician in Washington, no General in the Pentagon, nor any staff officer at Bagram Air Field can make better decisions than the leaders on the ground." This is a false dilemma. Often, what Soldiers believe keeps them safe actually endangers the mission. In war we have to do things that put our lives at risk. In a counter-insurgency, that means risking lives to save or limit civilian deaths. In World War II, storming the beaches of Normandy was excessively dangerous to our troops, but we had to do it. In counter-insurgency, a new ROE will make life more dangerous for Soldiers, but it will help us win. But why do Leaders make the ROE? COIN is a war of degrees. Traditionalists still expect Generals to move troops around on a big board the way Civil War generals did. Traditionalists still look for ways to attack the enemy, not protect the population. Traditionalists still want big operations. However, the wars in Iraq and Afghanistan are not about big maneuver operations; they are the sum total of small patrols repeated consistently over time. Generals no longer tell units how to maneuver, they make small changes in tactics and strategy that are repeated over time. The rules of engagement are one tool they can use to make those changes. The FM 3-24, the new counter-insurgency manual, describes the paradoxes of defeating an insurgency. One of those paradoxes is that wildly engaging (and missing) the enemy makes the counter-insurgent look weak. Another is that killing the enemy frequently costs you support and makes the enemy stronger. These two ideas don’t make sense in regular war, but counter-insurgency is counter-intuitive. Soldiers, non-commissioned officers, and officers new to counter-insurgency do not fully understand political war. ROE exists to force soldiers to follow good counter-insurgency theory, even though it seems counter-intuitive.